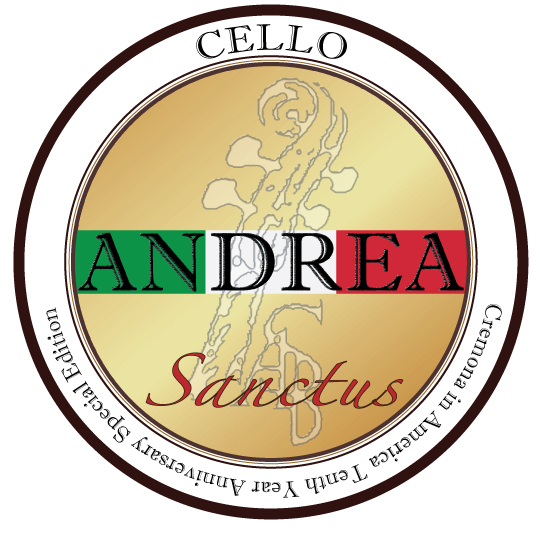 Andrea Sanctus is a unique formula that is the first time in the world to combine two separate parts in a single cake of rosin. The main base of the formula is hydrogenated to have excellent oxidation resistance, which ensures the consistant quality performance experience throughout its long-lasting usage of the rosin. The center part is a newly enhanced formular based on Andrea's Solo and it is physically softer and thicker. The outer part is formulated to have harder and drier charateristics to give balance in sound and to protect the soft center formula of the rosin. 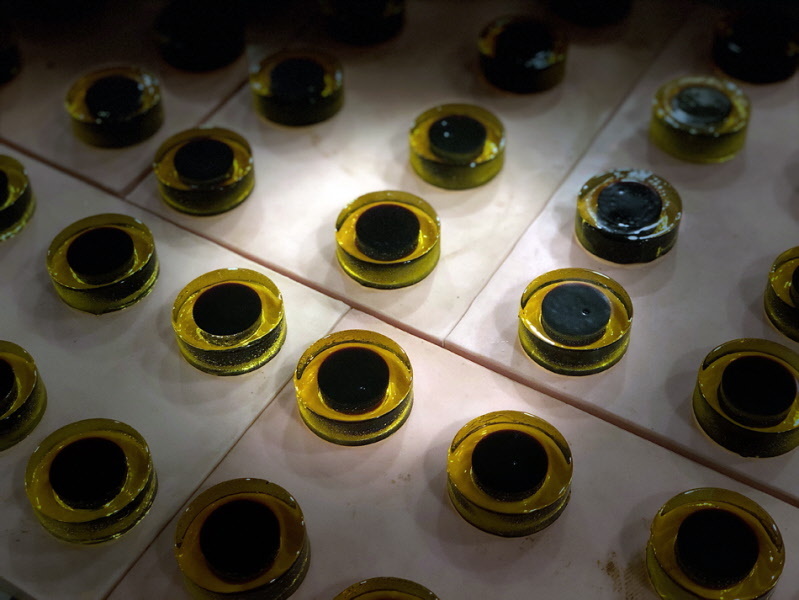 The donut shaped outer rosin is made first, and then the center formula is poured into the hole of the outer rosin. It is still all hand poured. 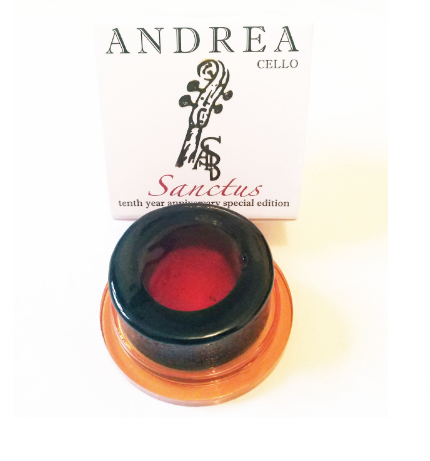 Sanctus is formulated to provide more possibilities in the sound of stringed instruments. This unique combination of two sophisticated rosin formulas provides the optimum balance for sound and bow control. These formulas have been put into two separate areas in one special rosin cake to show the clear definition of their roles. The outer ring formula has been designed to give a silky smooth playing feel and to produce a focused sound on the strings. The center formula responds and kicks in when the player demands more power and gutsiness from their instrument.